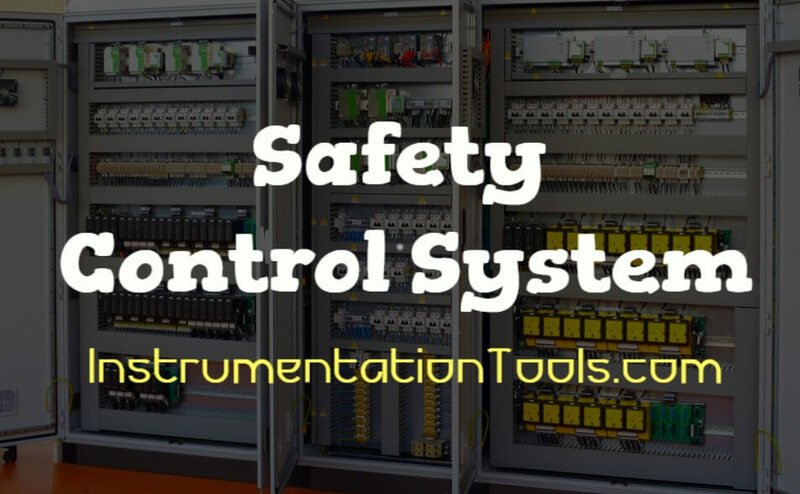 Home » What is Safety Control System ? Safety related control systems may operate in low demand mode, where they are required to carry out their safety function occasionally (not more than once/year) or in high demand (more than once/year) or continuous mode where failure to perform the required safety function will result in an unsafe state or place a demand on another protective system. The likelihood of failure of a low demand system is expressed as probability of failure on demand, and as failure rate per hour for high/continuous demand systems. Also Read : What is Distributed Control System (DCS) ? Most major companies will have developed internal standards which relate safety related system integrity to required risk reduction. These standards are likely to address the design process, system configuration, and demonstration that the required risk reduction has been achieved by qualitative or quantitative analysis of the failure rate of the design. They will also have procedures to ensure that the integrity is maintained during commissioning, operation, maintenance, and modification. Integrity levels for safety related systems may be determined from the hazard and risk analysis of the equipment under control. A number of different methodologies are available, but the process includes identification of hazards and the mechanisms which can initiate them, risk estimation (likelihood of occurrence), and risk evaluation (overall risk based on likelihood and consequences). The risk estimation provides a measure of the risk reduction required to reduce the risk to a tolerable level. It also provides guidance on qualitative methods for establishing the SIL level required. Part 2 of the standard places architectural constraints on the hardware configuration by setting minimum fault tolerance and diagnostic coverage requirements for each element or subsystem. It should be noted that IEC 61508 limits the risk reductions which can be claimed for a safety related E/E/PES which operated in low demand mode or continuous mode to no better than 10-6 and 10-9 respectively for SIL4. It should be noted that the integrity of a safety related system is critically dependant upon the detection and correction of dangerous failures. Where there is a low level of diagnostic coverage, as is usually the case with lower integrity systems, then the integrity is critically dependent upon the proof test interval. Where there is a high level of diagnostic coverage to automatically reveal failures on-line, for example for high demand high integrity systems, then the integrity is also heavily dependant upon the frequency of diagnostic checks, and the mean time to repair the equipment, which includes the diagnostic test interval. SIL levels are now being quoted for proprietary subsystems (and certified by test bodies). Quoted SILs should be associated with proof test intervals, diagnostic coverage and fault tolerance criteria. They are useful for evaluation of architectural constraints, but do not eliminate the requirement to confirm that the requires safety integrity level for the safety function provided by the system has been achieved. Software includes high level user application programmes and parameter settings.